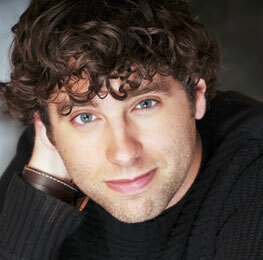 Marlton’s Jay Black went from the classroom to the stage and never looked back. He went from standing up in front of a room full of high school students to standing up in front of a room full of strangers eager for a laugh. And Marlton resident Jay Black—who spent nearly eight years as a South Jersey high school English teacher before launching a hugely successful career as a stand-up comic—says the first gig inadvertently helped him with the second. “There’s some entertaining that goes on with being a teacher, for sure,” the 36-year-old father of two says. “It was great practice for learning how to work a room, so to speak.” The affable Black—who has written more than 15 screenplays with a longtime South Jersey friend, now working in Hollywood—is gearing up for another phase of his showbiz career, as co-writer of an upcoming movie. “It’s an exciting time,” Black says. “I can’t wait for the movie to come out.” How Sweet It Is, which Black wrote with childhood buddy Brian Herzlinger, is currently in post-production. The movie features some heavy-hitters, including Paul Sorvino, Joe Piscopo and Eddie Griffin. The script is one of more than a dozen that Black and Herzlinger (who wrote, directed and starred in the quirky documentary My Date with Drew) have co-written since 2006. It will be the first to make it to the silver screen for the longtime friends, who met as fourth-graders at Marlton’s Beeler Elementary School and who “have been like brothers ever since,” as Black puts it. “Brian went to Hollywood right out of college, but we always kept in touch,” Black recalls. “I went out to visit him in 2006 and he told me he had an idea for a screenplay. And that’s how the writing together began.” Conducted long distance through emails, phone calls and faxes, the screenplay writing has been “a great thing for us both,” he says. Because of their longstanding friendship, Black says, the two can communicate in a way “that’s like shorthand and we don’t have to worry about hurting someone’s feelings; we’re critical of each other the way brothers would be, but the love is always there.” How Sweet It Is tells the story of a washed-up, alcoholic Broadway director who needs to put together a successful musical in order to pay off a mob debt. Problems arise (and comedic moments ensue) when the wise guys want to cast themselves—and their friends—in the musical within the film. Black has a small part as a therapist. Herzlinger, Black says, really “knocked this one out of the park” with this direction. The film is slated for release at the end of the year: “It’s being edited now; we’re getting everything ready to go.” It’s been an interesting journey for Black during the past few years, going from high school teacher to comedian and now screenwriter and actor. These days, you can frequently catch his act throughout the region (weekly in Atlantic City at the Tropicana Casino), and he plays about 15 college shows each semester. Black is also heard weekly on radio gigs with Big Daddy Graham and Angelo Cataldi on Philly’s 94WIP. Black knew from a young age that making people laugh was his highest career goal. “I can still remember watching Bill Cosby’s TV special with my dad when I was in second grade and laughing so hard and thinking, ‘I want to do that.’” Weaned on the comedy boom of the ’80s, he would practice the mannerisms of his favorite stand-up comics —Jerry Seinfeld, Chris Rock and Richard Jeni—without actually having the funny lines to go with them. “I would pretend to be doing stand-up to an empty auditorium at my high school,” Black says. “It was something in my blood—I just didn’t know how to get to the next place with it for a while.” After graduating from Cherokee High School in 1994, he set off for what was then known as Trenton State College, now The College of New Jersey. Earning a degree in teaching, he immediately launched a career as an English teacher at both Shawnee and Seneca high schools. “I loved teaching; loved being in front of a class; loved connecting with the kids,” says Black. Early in his teaching career, he found himself smitten with a fellow teacher—a young substitute named Kristina Panarella. “When you fall head over heels, you’re inspired to do something big, something that stands out,” Black says, adding this was a tricky proposition for him since “I didn’t have abs and I didn’t have a lot of money.” But, he said, he knew he could be funny—and he’d already done a couple of open mic nights at the Comedy Cabaret in Philly, so he invited Kristina to see him perform at one. It worked, and a wedding and two children later, Kristina remains his “most ardent supporter.” For five years, while Black was teaching high school kids the joys of reading and writing, he would spend his weekends driving anywhere from Connecticut to Virginia for comedy gigs. Before long, he was building a fan base and name recognition. “It took five years for me to really get anywhere with it, but I was very committed to it,” he says. In 2006, he signed with a manager and successfully auditioned to land a part on a Showtime special, White Boyz in the Hood—a comedy show with all-white comedians performing in front of an all-black audience. Black walked away that night with a standing ovation. Before long, he was making more money as a stand-up comic on the weekends than as a full-time school teacher. “I decided to quit teaching and just go for it,” he says. “Kristina was very supportive of my decision; she’s always had tremendous faith in what I was doing.” As fate would have it, right around that same time, Kristina—who now teaches English and special education at Seneca—became pregnant with their first child, Keane, now 5. “The timing was crazy: I quit my job and a week later found out my wife was pregnant,” he says. “It was a scary time, but I figured if it didn’t work out, I could go back to teaching.” It’s been a whirlwind for Black ever since. With ongoing success on the college comedy circuit, he was named College Comedian of the Year in 2009, and was first runner-up in both 2010 and 2011. Playing college campuses has been both exhilarating and challenging, he says. “I went from doing 30-minute slots as an opener, to 60-minute gigs with no opener,” he says proudly. “And I was coming out of Philly and Jersey—with that kind of humor—suddenly playing Catholic schools in the middle of Iowa on family weekend. An hour up there with no cursing—really, it was trial by fire.” Before any gig, Black says, he makes sure he knows “what the rating is.” “I can do ‘R’ but I can also do ‘PG,’” he jokes. “What’s most important is that I stick the landing.” Playing colleges, he says, has pushed him to a higher level as a comic: “It taught me to be sensitive to my audience, and still get the laughs. “One of the biggest skills you have to learn is being comfortable in front of a hostile crowd,” he says. “Once you survive that, it’s time to go on and be funny.” Black hopes to see more of his and Herzlinger’s screenplays come to fruition as feature films and plans to keep the writing partnership going strong. “If I can get to the place where I’m writing a screenplay a year and stick with stand-up in New Jersey and not have to travel all over the country, that would be ideal,” he muses, adding he wants to spend as much time as possible with his family, which now also includes 1-year-old daughter, Annabelle. “I’m in a great place right now. I’ve learned you can be in this business and be a nice guy. I try to be as supportive as I can to other people trying to break in. My feeling is that a rising tide raises all the ships.” Published (and copyrighted) in South Jersey Magazine, Volume 9, Issue 9 (December, 2012).